New Move-In Ready Home in Pleasant Highlands! New one level in new Pleasant Highlands neighborhood. Featuring 9ft ceilings, great room with corner gas fireplace, island kitchen with quartz counters & tile backsplash, stainless steel appliances & pantry. Master suite with walk-in closet, bath with tile floor, double sinks, tub & shower. Fully landscaped yard with sprinklers, fencing. Enjoy the benefits of a brand new home constructed with energy efficiency. To be Energy Star & NGBS certified. Complete & MOVE IN READY! Built by local green builder GLAVIN HOMES. 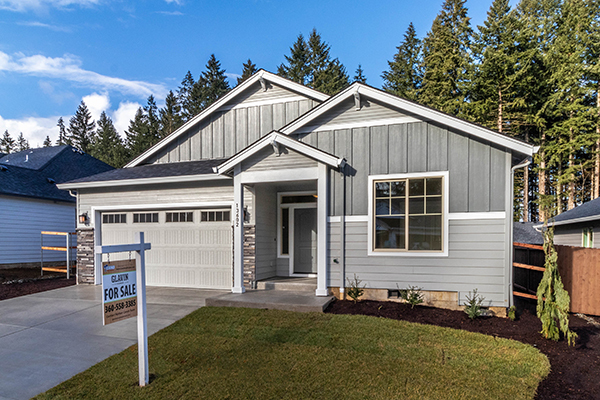 Call Nathan Cano’s team at (360) 823-3333 or contact us today to see this beautiful GREEN BUILT home!